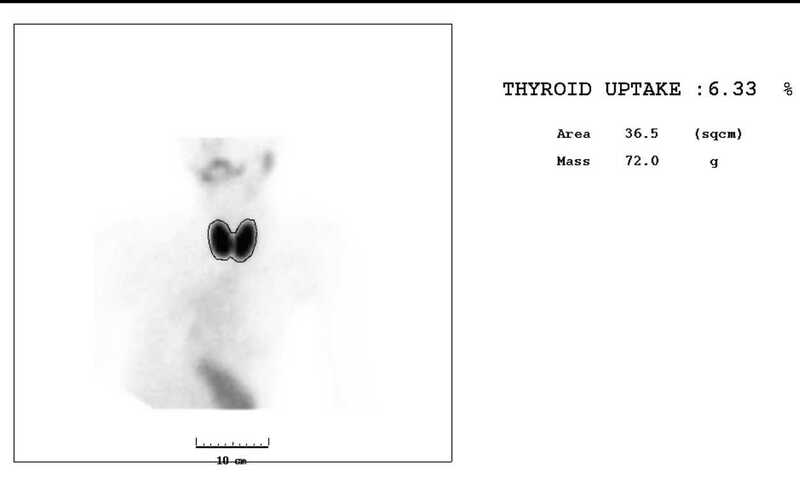 Image 1a and 1b (Thyroid Scintigraphy - Tc99m Pertechnetate): The thyroid gland has taken up 6.3% of the administered dose (normal between 0.6-2.7%). This is evenly distributed throughout both lobes of the thyroid gland. 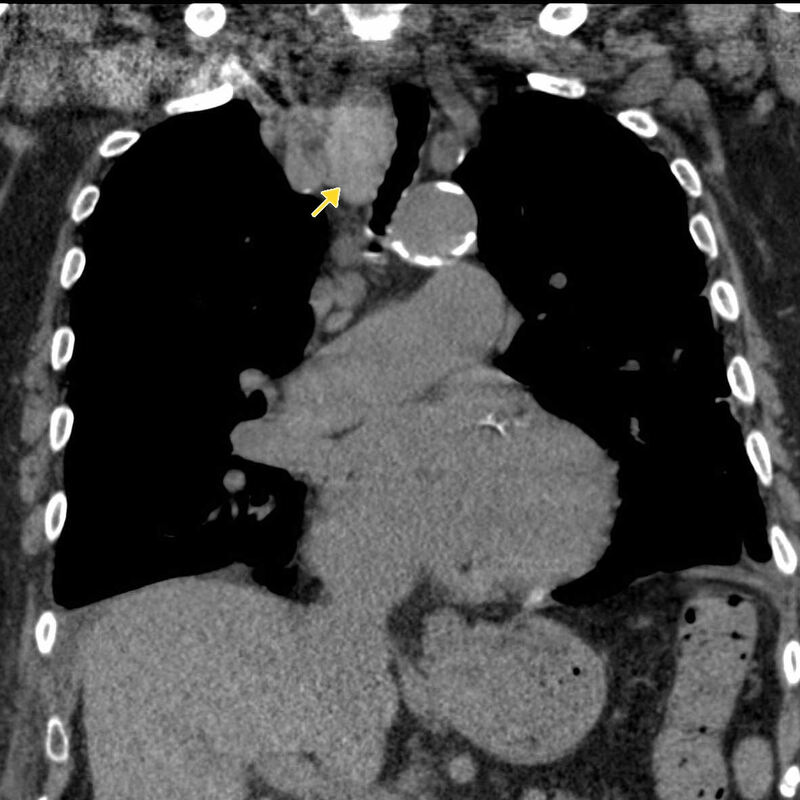 No focal abnormalities are demonstrated. 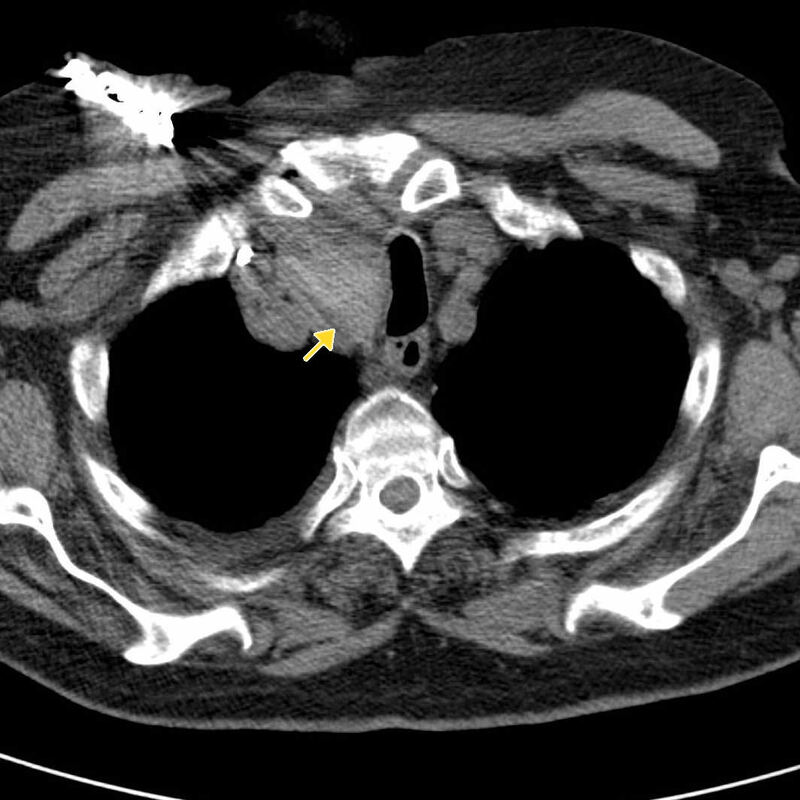 The appearances are typical of Graves' Disease. 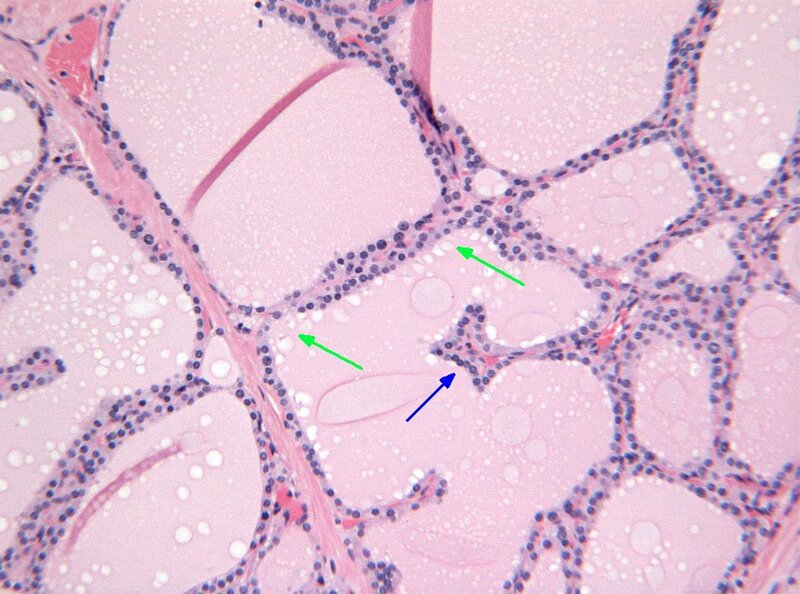 2 Image 2 (H&E, x10): Histological section of Graves' disease showing hyperplastic follicles with infolding of the follicular epithelium to form papillary projections (blue arrow). The colloid is pale with scalloped margins (green arrows). 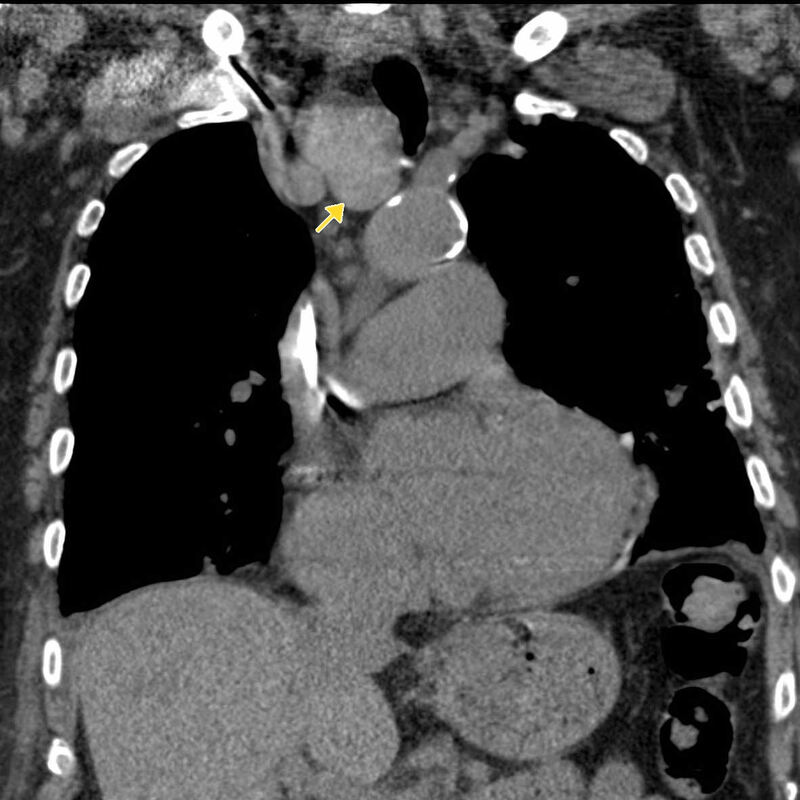 Image 3a, 3b, 3c and 3d (Computed Tomography): The right lobe of the thyroid is considerably enlarged with retrosternal extension and deviation of the trachea to the left (arrows). 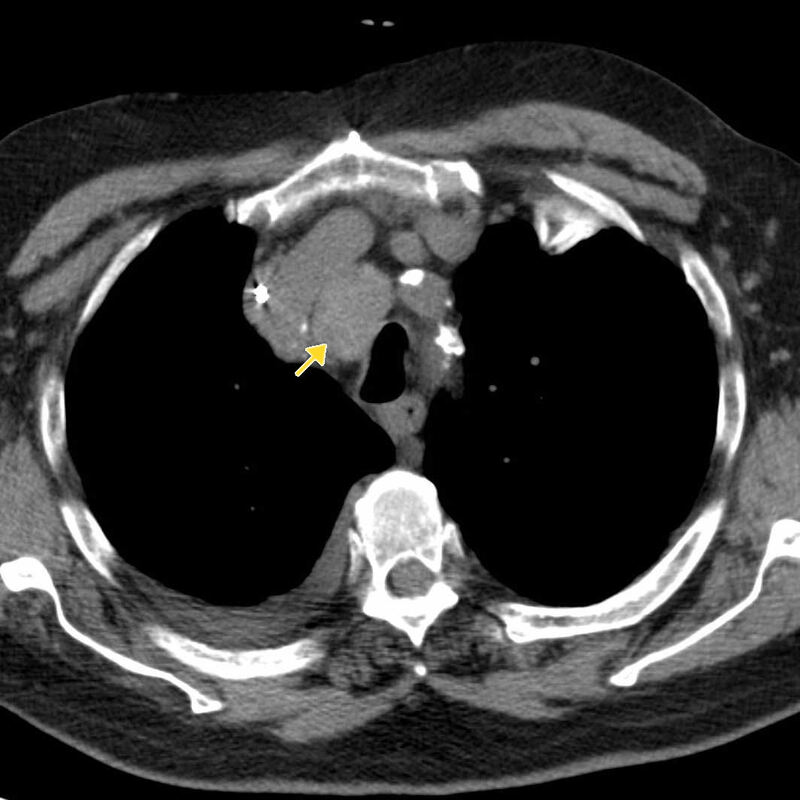 There are a few mediastinal nodes which measure around 1cm in short axis diameter. 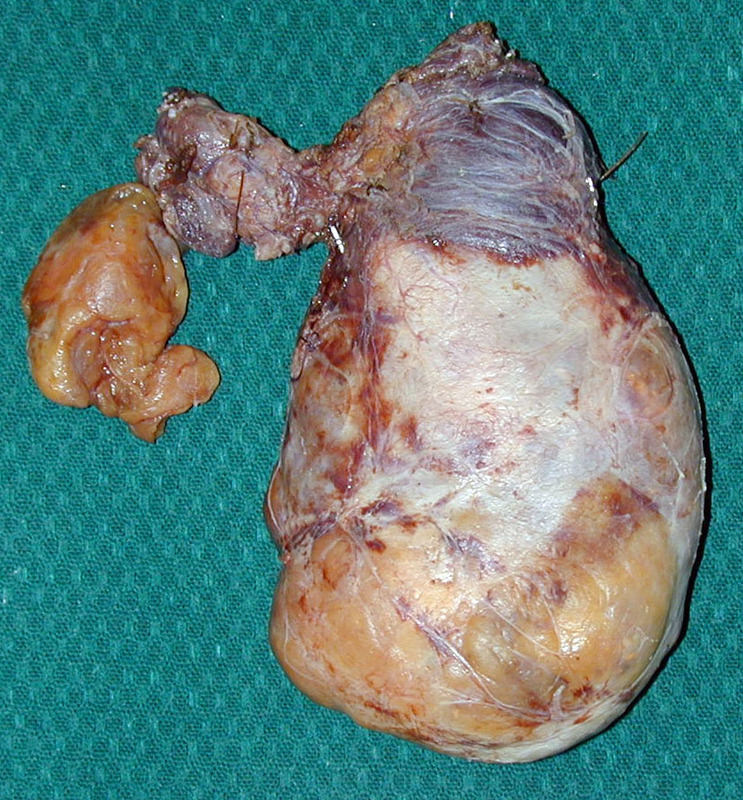 Image 4a: Total thyroidectomy showing a multinodular goitre with marked asymmetrical enlargement of the right lobe due to a massive dominant nodule. 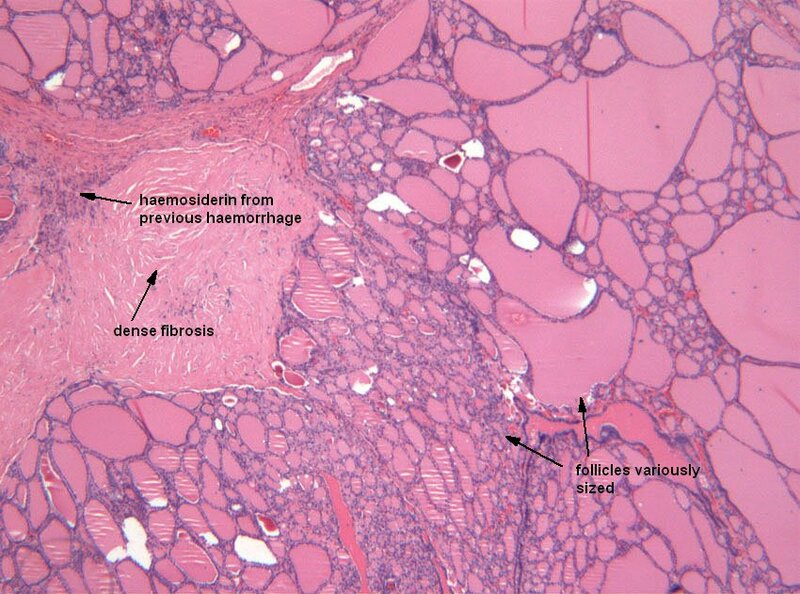 4b Image 4b (H&E, x2.5): Histological section of a multinodular (colloid) goitre showing the usual features of variously sized, colloid-containing follicles lined by uniform epithelial cells, patchy areas of haemorrhage and fibrosis.